The term gum disease or periodontal disease includes both gingivitis and periodontitis. Gingivitis is the term used for the inflammation of gums. In gingivitis, the gum margins show signs of inflammation without gum recession or bone loss. Chronic gingivitis can be seen in most of the population and it is characterized by tender, swollen, red gums that bleed easily and may be responsible for bad breath in some cases. Gingivitis treatment includes the use of mouthwash but frankly, with the tremendous amount of mouthwashes available in the market, which is the best mouthwash for gingivitis? Antibacterial mouth rinses can be divided into 1st generation and 2nd generation agents. 1st generation agents such as essential oils, sanguinarine, cetylpyridinium chloride and peroxides, have been available as over-the-counter antibacterial rinses for a long time. Even though they are antibacterial, they have less substantivity than 2nd generation agents. Substantivity is the ability of an active agent to be retained in the mouth and is able to continue to be released over an extended period of time without losing its strength. Therefore, 1st generation agents need to be used more frequently to obtain results. 2nd generation agents have proven substantivity and antibacterial properties. Common 2nd generation agents include chlorhexidine and stannous fluoride which require prescription for use. Mouthwash that contains essential oils as an active ingredient. For example Listerine® mouthwash and other generic equivalents sold over the counter. 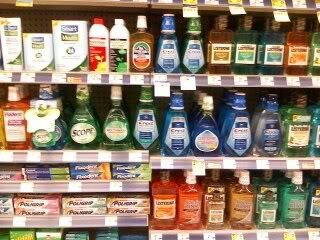 The categories of mouthwashes above have been covered in a previous post. So what about the other types of mouthwash? Below are the different main ingredients that you may find in mouthwashes available over-the-counter. Plax® is a prebrushing mouthrinse containing sodium benzoate, other non toxic wetting agent and 7.5% alcohol. It is not meant for those on salt restricted diets. There is not enough evidence to support its use in any self-care program. Several 0.634% stannous fluoride mouth rinses are available commercially for tooth decay prevention, such as Gel Kam®. Stannous fluoride has more antiplaque properties than sodium fluoride, an ingredient commonly found in toothpastes. However, prolonged use of stannous fluoride mouthwash can result in more staining of teeth than with a sodium fluoride control dentifrice. The potential application of this product is significantly limited due to its weak antiplaque and increased tooth staining. ADA has given their acceptance on these products is for activity against tooth decay and safety but they have not been accepted for reductions in plaque and gingivitis. This antiplaque substance which is an alcohol extract from the root of the plant Sanguinaria Canadensis, is available as over-the-counter mouthwash and dentifrice products (Viadent®). Sanguinarine is less effective than chlorhexidine but it can be retained for about 2 to 4 hours in the mouth and there are no side effects observed. Professional recommendations of these products for the reduction of plaque and gingivitis as part of a self-care program are not guaranteed due to inconsistent efficacy. Cepacol® (with concentration of 0.05% cetylpyridinium chloride) and Scope® (with concentration of 0.045% cetylpyridinium chloride) are two well-known examples of this group. Professional recommendations of these products for the reduction of plaque and gingivitis as part of a self-care program are not guaranteed due to inconsistent efficacy. Oxygenating agents are substances, such as hydrogen peroxide, that release oxygen into the gum tissues to reduce inflammation. Several products are available on the market for example Amosan® and Gly-Oxide®. 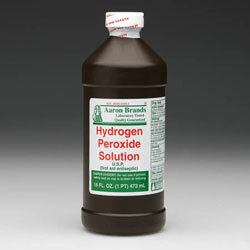 Safety is an issue with hydrogen peroxide for chronic use can cause serious side effects including cancer risk, tissue damage, ulcers in the mouth, abnormal increase in number of cells and black hairy tongue syndrome. Short-term use is intended for oral wound cleansing. There is not enough evidence to support its use in any self-care program. Chlorine dioxide is available as mouthwash and toothpaste formulation (Oxyfresh®, Enfresh®) and these products claims are primarily cosmetic for example to eliminate bad breath. There is not enough evidence to support its use in any self-care program. In conclusion, is there a best gingivitis mouthwash? It all comes down to the ingredients used so read the label before you purchase your mouthwash at your nearby stores. 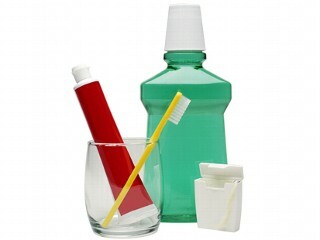 However do keep in mind that using a mouthwash alone will not eliminate gum disease. Early gingivitis may be completely reversed by improving your oral care regimen, provided that there are no factors such as faulty fillings or calculus that can make plaque removal difficult. Later stages of gum disease may pose more complex problems, such as enlargement of the gums which may need surgical removal. The key factor in the management of all types of gum diseases is effective home care. So can hydrogen peroxide be used as mouthwash safely? listerine is not the miracle cure for gingivitis. you still need to follow your oral hygiene regimen which includes toothbrushing and flossing. if your gingivitis is severe, you may need to consult your dentist for the cause of it and get it rectified. OralMax Gum Disease Treatment can help you with bleeding gums, inflammation, sensitivity and dental mobility. Can help stop bone loss and reduce the dental mobility from grade 2 to grade 0 (Miller’s Classification). All this thanks to the tannin acids (astringent) naturally obtained from different quercus species evaluated and recognized as an effective substance against bleeding gums, inflammation and dental mobility in diabetic and non-diabetic patients. Not all mouthwashes contain fluoride. You will have to check the contents label on the mouthwash. If fluoride is included, it will state so. i have used one mouthwash after another. There has been no mouthwash that has relieved my halitosis. the only thing that has worked for me is Amosan and they have now removed it from the market. i used it for 30 years, * did not have halitosis. now i am back to the old routine of trying not to talk directly in anyone’s face. You should try to find the cause of the bad breath, which can be due to various of reasons. Do pay your dental practitioner a visit and ask his/her opinion.